Wake Forest came in sixth in the fall rankings of the Director’s Cup, a national competition based on the athletic performances of a school’s sports. 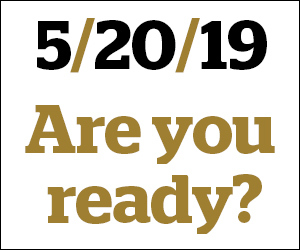 The Wake Forest Athletic Department is measured annually through a national competition known as the Director’s Cup, an unbiased measurement of athletic success through finishes in the NCAA Championships for every sport. This is a great way to measure the consistency of performances over all levels, as one sport such as football or basketball does not have the power to sway it. It was developed as a joint effort between the National Association of Collegiate Directors of Athletics and USA Today. 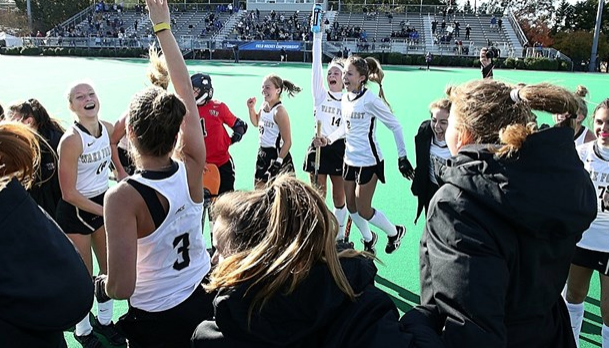 In total, Wake Forest racked up 311 points throughout the fall season, encompassing nine NCAA championship appearances. By reaching the semi-final, Field Hockey earned 83 points. Both the Men’s and Women’s Soccer teams scored 64 points by each reaching the Round of 16. Women’s Cross Country took fourth place in the Southeast Regional to score 28 points, and the men took fifth for 27 points. Dave Clawson and the football team’s comeback win over Memphis in Birmingham took home 45 points for Wake Forest. There are no additional points given for consecutive wins or winning seasons, but three straight bowlwins is no small feat for the Deacons. With a new football facility opening in the coming weeks, look for more Director’s Cup points in the coming years from high-profile bowl games. The 311 points totaled this fall are the most the Demon Deacons have collected during the fall season in the 26-year history of the Director’s Cup. Given the money that has flooded into new facilities and resources for athletics, it is clear that the greater resources are working. On a national level, to the surprise of no one, Stanford leads the national rankings with 541 points. Michigan sits in second place with 385 points, and Penn State comes in third with 337 points. Wake Forest is the leader for the ACC by 15 points. Duke is second with 296 points, and Notre Dame is third with 280 points, which seems questionable due to their independent football status. NC State is fourth with 268 points. Wake Forest, Duke and NC State make up three of the four top-performing ACC schools, demonstrating the strength of the ACC in a variety of sports. In the winter and spring season, look for both the Men’s and Women’s Golf and Men’s and Women’s Tennis teams to drastically boost the point totals and move Wake Forest up in the overall rankings in the spring. It is still to be seen if either basketball team will be able to make a run in the ACC tournament. If that were the case, it would drastically help the point totals. If baseball comes out at their usual level, then they could bump up the point total as well. Overall, these scores demonstrate the high level that Wake Forest is competing at, despite being one of the smallest schools.